Dr. Green graduated the medical school from the University of Tennessee and completed both his residency and fellowship program at the University of Missouri-Columbia. He is specialized in Radiology and board certified in Radiology. 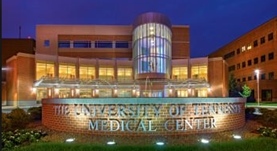 Dr. Green has been in practice for more than 11 years and is affiliated with the University of Tennessee Medical Center. During his career, he has also contributed to 3 publications of medical interest. Dr. Brian Green has contributed to 3 publications. 1 citation Imaging findings in pediatric type 1 Gaucher disease: what the clinician needs to know. Green, B.A., Alexander, A.Z., Hill, P.R., Lowe, L.H. ; J Pediatr Hematol Oncol. 2011 May. 3 citations Occult cranial injuries found with neuroimaging in clinically asymptomatic young children due to abusive compared to accidental head trauma. Fickenscher, K.A., Dean, J.S., Mena, D.C., Green, B.A., Lowe, L.H. ; South Med J. 2010 Feb.
7 citations Imaging characteristics of lipofibromatosis presenting as a shoulder mass in a 16-month-old girl. Walton, J. R., Green, B. A., Donaldson, M. M., Mazuru, D. G.; Pediatr Radiol. 2010 Dec.